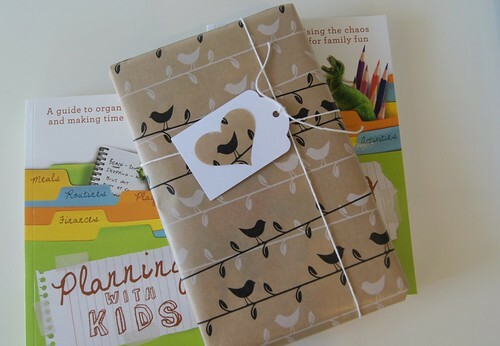 There have been a number of lovely people recently, who have bought the Planning With Kids book as a gift for friends or family after having bought the book for themselves. I so enjoy reading that they found the book so helpful, they want to share it with others! Name and address of the person to receive the book. Any message you would like written on the gift tag (if not included a simple Merry Christmas message will be hand written). I write a personal message in the inside of each book. If there is something special you would like me to include in this message, please also note that down. If you forget to add this and confirm purchase, simple email me directly after at nicole@planningwithkids.com and I can still arrange it. If you want to buy multiple copies and send them to different addresses, I can arrange that as well. Simply email me the details before or immediately after your purchase nicole@planningwithkids.com. If there is no note or email, I will assume the book isn’t a gift and send it out unwrapped. I however cannot guarantee delivery before Christmas for orders made closer to the 20th December. By regular mail books have been taking a week to arrive to some West Australian and Queensland addresses. I am happy to wrap international gifts, but at this stage I cannot guarantee they will be there by Christmas going standard mail. How are you traveling with your Christmas shopping? My aim is to have all completed before December starts – I am going to be cutting it fine I think!